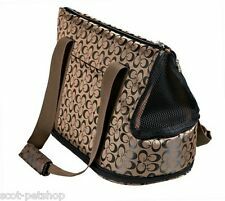 Cosy and stylish beige suede look dog carry bag available in two sizes. This comfortable bag has a gorgeous suede look finish, a side pocket with zip for treats and leads etc, a short lead to prevent your pet from jumping out and an easy car nylon base. The Mila small pet carrier is suitable for small dogs, cats and rabbits. Within the pet carrier is a short lead to attach to your dogs/cats/rabbits harness and a lovely cuddly soft lamb fur look insert to sit on. Airline compatible. Designed for airline approval. No Escape paw guard zippers. Intuitive design and active styling are showcased in our new Voyager Comfort Carrier™. The Hyper Paw Barrier™ removes worries by protecting the zipper from hyper prying paws. BlackFaux Leather Pet Dog Cat Carrier/Tote. 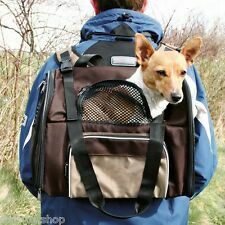 Designer Pet Carrier/Tote. Safety clip inside to secure pet. BlackFaux Leather. Hand bag carrier. Removable floor pad for easy cleaning. Airlines approved (check your airline to confirm). Clip-on shoulder strap. Top & side zip opening. Easy clean polyester covered base board. Suitable for cats, small dogs, rabbits and more. Product Information. Product features 44.5cm x 28cm x 28cm. Coastal Pet Products-Bergan Voyager Comfort Carrier Small: Pink/Gray. Travel with ease with the Voyager Comfort Carrier. 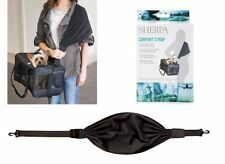 It is airline compatible, includes superior ventilation and easy access to comfort your pet on the go, a washable fleece bed and a seat belt loop for safety. Manufacturer: KITTYWALK. Manufacturer KITTYWALK. Product Information. Sherpa Comfort Strap - USE w/YOUR Soft. Patented extra-wide fabric strap distributes pet's weight evenly across entire shoulder. If you've travelled with your carrier, You'll KNOW how miserable the carrier's normal narrow strap makes your shoulder feel very quickly- THIS IS A GOD-Send! We will be sure you are taken care of quickly. your warranty is 100% valid! ADD TO FAVORITES. Folds up into a travel bag for easy storage and transport. Protective cover for cars. Strong, waterproof, Oxford fabric. There may be cases where it takes longer. East to fit - attaches over the headrests. Airline capable carriers are designed for pets lying down, so your pet may not be able to stand. The interior space will be less than exterior due to the fabric thickness and plush faux fleece padding. Care instructions: hand wash only, cold water, air dry only, do not wring out, do not use bleach or fabric softener. Paw brings you an easier way to transport your feline friends. Complete enclosure carriers can be difficult to get your cats into without scratching and struggling. Model Number: 7235. L x 31 in. W x 42.5 in. Color: Beige, Brown, Tan. Assembly: Assembly Required. Type: Cat Tree. Material: Fabric, Plastic, Sisal Rope. Assembly Required. 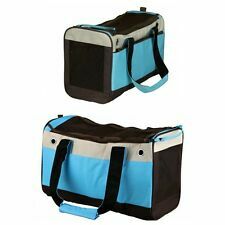 Foldable Soft Airline Approved Pet Travel Carrier This soft-sided travel pet carrier was designed for small animals. It will help your pet arrive safely and comfortably when traveling by plane or car or for routine trips to the vet. Reliable Design - It is made of durable Oxford Fabric and Mesh which can effectively prevent tear from claws. 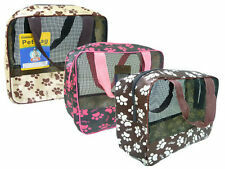 - It comes with auto-lock zipper sliders and a tether which will prevent your pets from escape. - It is also provides a belt loop on side panel for functioning as a dual seatbelt/luggage strap for secure transport. Comfortable Style - It comes with a multifuctional cushion made by cozy fleece and durable oxford fabric, please accord to the air temperature to decide to use which side. Lightweight construction for your carrying convenience/foldable design makes for easy storage. Sturdy, light weight and perfect for travel. Holds pet up to 15lb. Sturdy fabric makes for durability and easy cleaning. Accessories: 2 platforms, 2 hammocks. Type: Cat Tree. Owner was very concerned I was very satisfied! width: 64.14 x height: 0 x length: 109.86 x weight: 0. Color: Black. Arrived way sooner than expected. Type: Cat Tree. Color: Black. Assembly: Assembly Required. Assembly Required. Soft Fabric Pet Crate with 2 convenient side pockets, roll up vents on all 4 sides, and soft cushioned fleee liner pad, and even a FREE carry Bag. Ideal for use during: Out camping; On the beach; On picnics; At BBQ's. 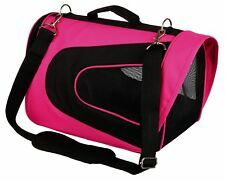 Perfect for cats and puppies, this carrier is portable and lightweight. Made with 600D Oxford fabric that is water resistance, it's good for any outdoor activities so that you and your pet can enjoy without any worries. $BRAND NEW KITTY PATS WALK WATERPROOF RAIN COVER ORIGINAL STROLLER ALL WEATHER GEAR NEW Keep your pet dry on rainy days with the waterproof rain cover. Keep your pet cool on hot sunny days with the canvas sunshade awning. Keep your pet warm in the winter and fall with the faux sheepskin cozy cover and pad. ABOUT US BiXLife offers a wide range of products to our consumers such as consumer electronics, branded clothing, sporting goods and so many other items at the best lowest price. OUR POLICIES We are committed to providing each customer with the highest standard of customer service. * SATISFACTION GUARANTEED We want you to be 101% satisfied with your purchase. We will try our best to have good business with you. Please let us know if there is anything we can do to offer you the best shopping experience.